Dr. Jiyue Zhu earned his Ph.D. degree in Biochemistry at Dartmouth College and received his postdoctoral training at University of California San Francisco. He joined the Faculty at Pennsylvania State University College of Medicine as a tenure-track Assistant Professor in 2000 and rose to the rank of Full Professor. 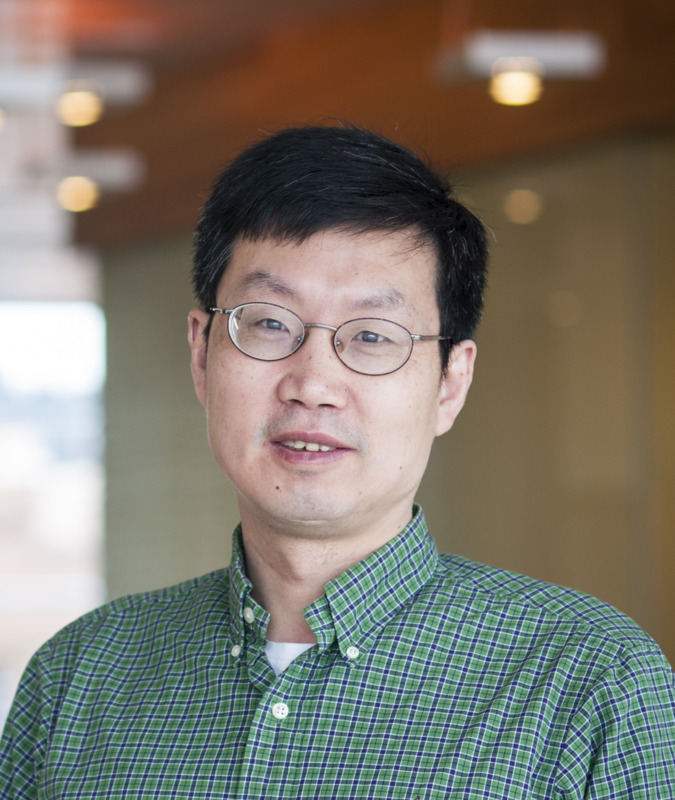 Currently, Dr. Zhu is a Professor of Pharmaceutical Sciences at College of Pharmacy, Washington State University. Dr. Zhu’s research on Aging and cancer has been funded by grants from the National Institute of Health and American Cancer Society. 1. Zhao, Y., Wang, S., Chen, L., and Zhu, J. Studies of chromatinized reporter revealed two different modes of hTERT gene regulation by c-Myc. In revision for submission to Nucleic Acids Research. 2. Yaswen, P., Zhu, J., et. al., Therapeutic Targeting of Replicative Immortality. Submitted to Carcinogenesis. 3. Ma, Y., Wang, S., Zhao, Y., Hao, S., Spector, DJ., Lim, B., Zheng, S., El-Deiry, WS., and Zhu, J. A combinatory strategy for circulating tumor cell detection using microfilter capturing and adenoviral imaging. In preparation. 4. Jia, W., Wang, S., Horner, J. W., Wang, N., Wang, H., Gunther, E. J., DePinho, R. A., and Zhu, J. (2011) A BAC transgenic reporter recapitulates in vivo regulation of human telomerase reverse transcriptase in development and tumorigenesis. The FASEB Journal. 25: 979-89. 5. Zhao, Y., Wang, S., and Zhu, J. (2011) A multi-step strategy for BAC recombineering of large DNA fragments. International Journal of Biochemistry and Molecular Biology 2(3):199-206. 6. Wang, S., Hu, C., Zhao, Y., and J. Zhu. (2010) Distinct and Temporal Roles of Nucleosomal Remodeling and Histone Deacetylation in the Repression of hTERT Gene. Molecular Biology of the Cell. Vol. 21: 821–832. 7. Mathew, R., Jia, W., Sharma, A., Zhao, Y., Clarke, L.E., Cheng, X., Wang, H., Salli, U., Vrana, K.E., Robertson, G.P., Zhu, J., and S. Wang. (2010) Robust activation of the human but not mouse telomerase gene during the induction of pluripotency. The FASEB Journal. 24:2702-2715. 9. Zhao, Y., Wang, S., Popova, EV., Grigoryev, SA., and J. Zhu. (2009) Rearrangement of Upstream Sequences of the hTERT Gene during Cellular Immortalization. Gene, Chromosomes and Cancer. 48:963-974. 10. Wang. S., Zhao, Y., Leiby, MA., and J. Zhu. (2009) Studying human telomerase gene transcription by a chromatinized reporter generated by recombinase-mediated targeting of a bacterial artificial chromosome. Nucleic Acids Research. 37: e111. 11. Wang, S., Zhao, Y., Hu, C., and J. Zhu. (2009) Differential repression of human and mouse TERT genes during cell differentiation. Nucleic Acid Research. 37:2618-29. Wang, S., Zhao, Y., Leiby, MA., and J. Zhu. (2009) A New Positive/Negative Selection Scheme for Precise BAC Recombineering. Molecular Biotechnolgy. 42:110-6.